I recognize that my health and wellbeing depend directly on how well I care for myself emotionally, physically, intellectually and socially. I recognize that the outcome of my hypnotherapy depends on the acceptance of being personally responsible for myself. I am willing to commit to my own healing and improvement. I will allow adequate time and enough sessions so that the desired change can happen. I agree to be on time and be prepared to participate in order to achieve a successful outcome. 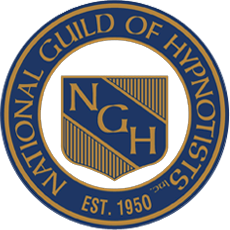 Have you ever experienced Hypnosis or NLP before? What environments do you find most relaxing? Do you have any fears of the following? Are you currently under medical or psychological care? Have you had or are you currently being treated for any ongoing medical or psychological conditions? Hypnosis is most effective when in a state of relaxation. Please avoid caffeine for several hours prior to your session. Please answer these to the best of your ability. I look forward to working together with you to reach the outcome that you desire! What would be your best possible experience and outcome using hypnosis? What would be your evidence that you had achieved your outcome? What would happen if you get this outcome? What are the benefits (ex: feelings, rewards, habits retained etc.) of what you have been doing? What are the costs of what you’ve been doing? What has stopped you from accomplishing it? you are to where you want to be, and the following information will help guide our process. Please do not leave any spaces blank before making an e-submission. Just place an X or an O in any space that you are unsure about. Thank you! *Your personal information will never be shared with any outside parties.